No sooner is Christmas Day over but we start to look forward to longer, warmer days, and here’s a suggestion – a fortnight in Italy at the height of summer, studying Shakespeare with some distinguished performers, educators and directors. 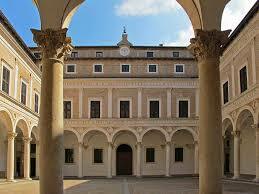 And at the same time to enjoy some of Italy’s Renaissance architectural gems and early music. Nobody knows if Shakespeare ever actually visited Italy, but the country certainly had an influence on him. Glamorous, dangerous, and exotically foreign, Italy held a unique place in the English imagination. The new cultural association Shakespeare in Italy has been founded with the aim ” to promote and perform Shakespeare’s plays in their original language in the country that was such an inspiration to him.” From 12-26 July 2014 a Summer School Shakespeare in Italy will take place in Urbino, a World Heritage Site that is the birthplace of Raphael and contains the 15th century Palazzo Ducale, one of the most elegant palaces in Italy, the setting for Castiglione’s Book of the Courtier. The summer school will be led by Julian Curry and Mary Chater. Julian is an accomplished actor and an experienced drama teacher. To complement and enrich study of the plays, Mary Chater, who has performed frequently with the RSC and the NT, and is also a teacher and a Blue Badge Guide, will lead a varied programme of cultural events in and around Urbino. The summer school, which is supported by the University of Urbino, is being organised by Shakespeare in Italy, a cultural association formed by Julian and Mary, together with theatre manager Sandro Pascucci, to promote and perform Shakespeare’s plays in their original language in the country that was such an inspiration to him. No fewer than 13 of his plays are set wholly or partly in Italy. The summer school will be led by Julian, whom many theatregoers and Shakespeare enthusiasts will know from his numerous appearances with the Royal Shakespeare Company and the National Theatre and in the West End. He has also worked extensively on tv and film, and is an experienced drama teacher. Three of Shakespeare’s “Italian” plays will be studied, with three days (of lectures, discussions, practical work and screenings of contrasting productions) devoted to each play. RSC Associate Director Bill Alexander will lead a workshop on The Merchant of Venice and the distinguished musician and international performer, Martin Best, who has been associated with the RSC for over 30 years, will perform his lecture-recital Shakespeare’s Music Hall and teach a seminar on the sonnets. Other participants will include the enormously distinguished actor Michael Pennington and experienced Shakespearian Kelly Hunter. The summer school will coincide with an Early Music Festival being held in the town which will be of particular interest given Martin Best’s attendance. Shakespeare set many plays at least in part in Italy, but the connections between Shakespeare and Italy haven’t all been one-way. 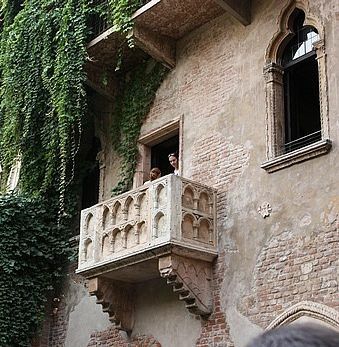 Italians have reciprocated by adopting Shakespeare’s plays as their own. 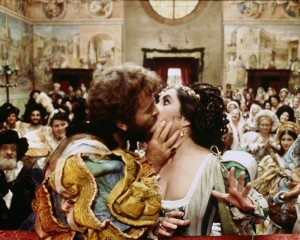 The composer Verdi was inspired by Shakespeare to write operas, film director Zeffirelli directed Romeo and Juliet and The Taming of the Shrew and famous actors like Eleanora Duse and Tomasso Salvini made their mark as Juliet and Othello respectively. This article, written during 2012’s Globe to Globe season, explores some of the many connections between Shakespeare and Italy. This entry was posted in Legacy, Shakespeare's World and tagged Italy, Julian Curry, Mary Chater, Urbino. Bookmark the permalink.